Even though caregiver stress relief is on everyone’s wishlist, how do you actually fit relaxation and fun into your hectic schedule? Try GoodReads, a free online site that helps you find great books and connect with people through shared interests like caregiving. Reading is a positive and flexible way to take a brief vacation from your busy life. When you’re less stressed, you’re in a better mood and have more patience. That translates into better health for you and smoother care for your older adult. GoodReads has book recommendations, ratings and reviews, and discussion groups. That makes it easy to find a good book. When we searched for books about “caregiving,” we found over 2000 results. The top 20 included popular books endorsed by the New York Times bestseller list, AARP, or rated highly by actual family caregivers. These books offered practical tips, spiritual themes, and inspirational stories. When we searched for “medicare,” over 900 results appeared. The top 20 included books that explained how Medicare works or how to get the most benefit. Socializing also helps to manage stress and mood. We like the online discussion groups because it’s a way to be social and connect with others based on shared interests. 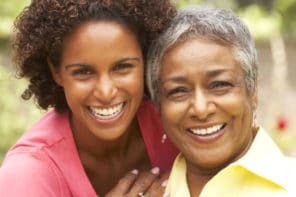 The best part is that you don’t need to leave your house so there’s no need to find respite care for your older adult. The first result in a search for groups about stress is “Reading is my escape” and has over 1000 members. We tried GoodReads because reading helps us relax, we’re always looking for good book recommendations, and it’s a free service. The ratings and reviews are great tools for quickly evaluating a book. The book selection and number of reviews aren’t as extensive as you’d find on Amazon.com, but we like the discussion groups and the ability to get recommendations from friends.